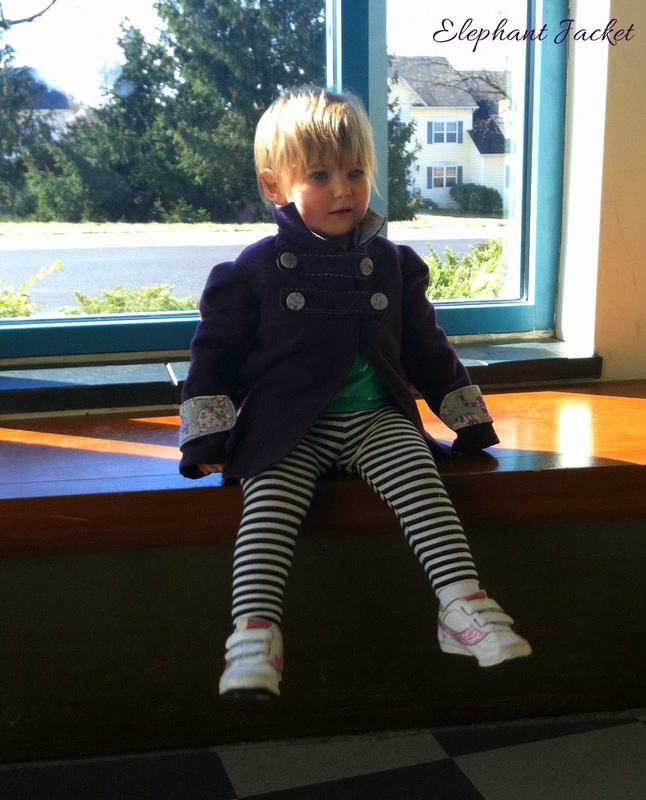 Since I’ve been sewing up a few test patterns over the past couple of weeks and I can’t post any pictures (not yet at least), I thought I’d share Bean’s jacket that I made her in the fall. Somewhere along the line I bought a half of a yard of this great elephant greyish fabric that I love. 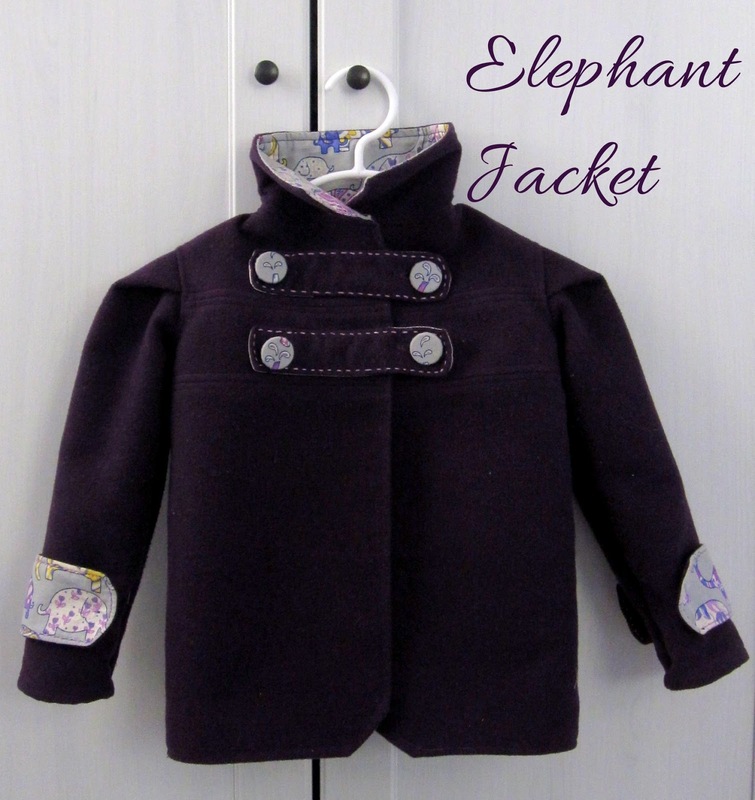 (I was apparently on an elephant kick in 2012) I decided that since the jacket isn’t supposed to be fully lined (it’s meant for fleece which doesn’t need a lining) I had enough to use the elephants for the collar, buttons, and sleeve tabs. The buttons were made using the snouts of two of the elephants which were squirting some water. I think they turned out pretty cute. I am so pleased with the jacket. The pattern was easy to follow and included top stitching recommendations which I always think gives a more professional look. We have had so many people come up to us asking where I got this jacket for Bean. Seriously the most compliments from strangers of anything I’ve made for her, hehe. It’s held up really well all winter. 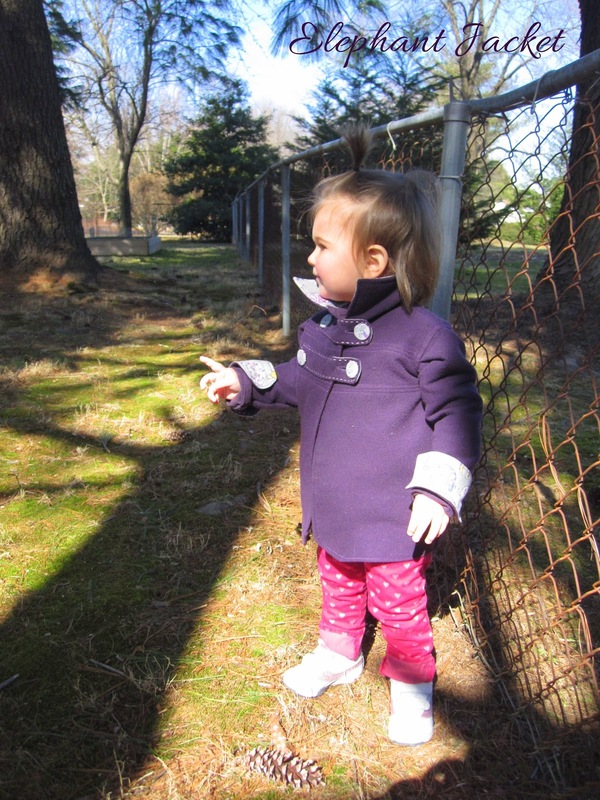 We even went outside today in the sunny cold with it. 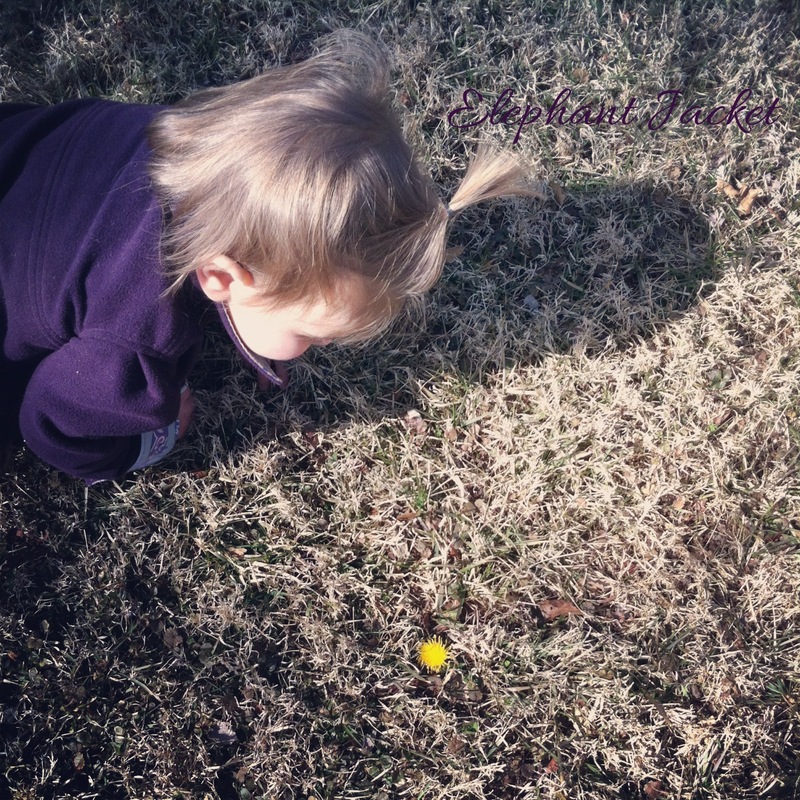 Bean found our first dandelion of the year, hehe. **This post was featured on the Weekend Link Party at Happy Hour Projects and at Sew Country Chick’s Saturday Sew and Tell! 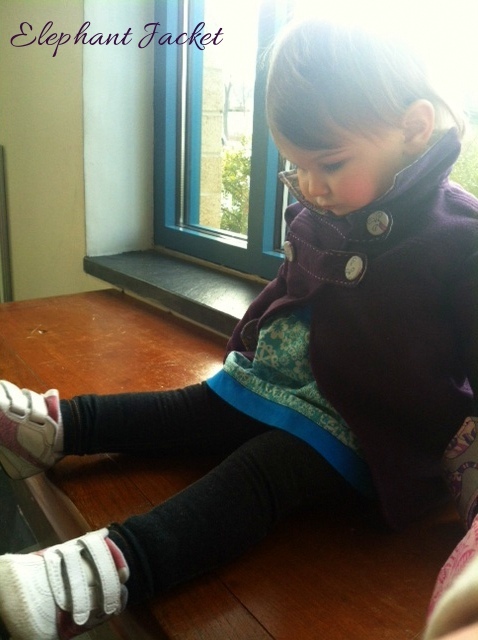 So cute……Thank you for sharing with the Clever Chicks Blog Hop this week; I hope you’ll join us again! She looks so cute in it! 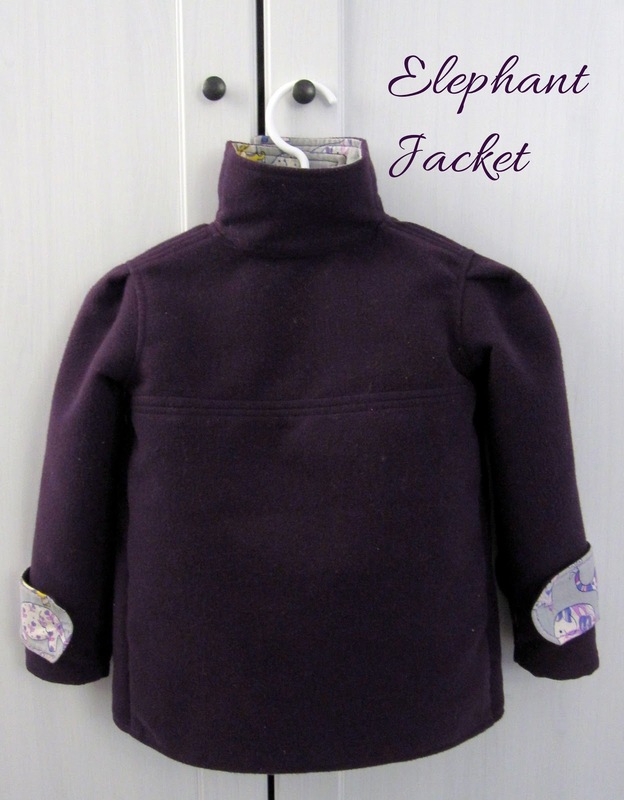 I love the Abby jacket pattern. I've made it twice now! I love the purple wool you used. It is so funny that I found this post. I just bought two Shwin and Shwin patterns today, and debated buying this one also. 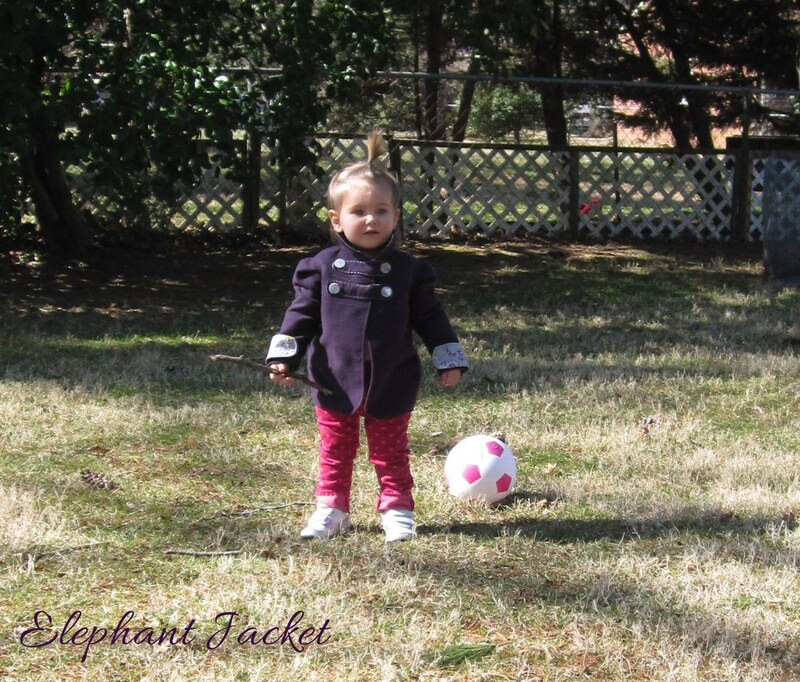 Now that I've seen your adorable jacket (and baby in it!) I'm going to head over and buy it now! Thanks so much for sharing! OMGoodness that is beautiful! I even love the lining! Looks so warm and snuggly. I do like the buttons just at the top, leaving the bottom open to allow room for lots of movement. The coat looks great! Love the buttons! Adorable! Of course it's Sergeant Pepperish if it's called the Abbey jacket. I had no idea! Very cute! Will keep her neck warm too! Adorable jacket! Cute elephant fabric! Thanks for sharing @ Submarine Sunday! What a cute jacket ~ I love it.